Xerath might have a little competition at the top. The first League of Legends patch of season eight arrives this week, but even though it’s a new season some things never change. 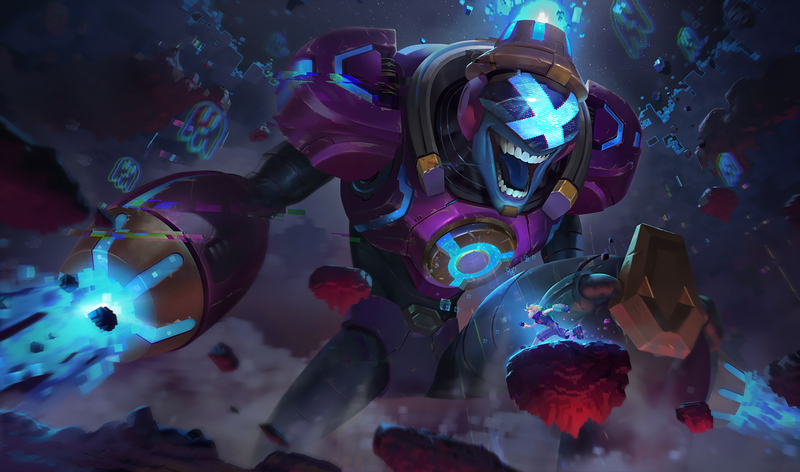 Just like any other patch, this one is chock-full of balance changes, and there’s one champion walking away from this week’s update as a big winner. Brand, the Burning Vengeance, is getting one small buff, according to the official patch notes, and that small buff may be enough to bump him to the top of the control mage tier list alongside Xerath, Morgana, and Malzahar. The small buff simply changes his passive burn damage to deal four percent of his target’s maximum health as magic damage, up from two percent. That’s not a lot of damage at first glance, but it adds up very quickly. If Brand’s target has 2,000 health, which is roughly the same amount that the average ADC reaches, his burn used to deal 40 damage. Now, it will be 80. On a tank with 4,000 health, it’ll now deal 160 damage passively, just because he lands an ability. Sure, 80 damage at once doesn’t seem like a lot, but Brand’s passive doesn’t have an internal cooldown. He applies that burn each and every time he lands an ability, so if there’s an extended teamfight, and he can land an ability three separate times on that ADC with 2,000 health, that 80 damage suddenly adds up to 240 damage. On the tank, it’s now at 480 damage, and he has the potential to be burning multiple targets at once with his potent AoE spells, and that’s not including the extra burn if he has a Liandry’s Torment. The later a game goes, and the more health the enemies build up, the more effective Brand becomes, making him scale extremely hard into late-game. This means he’ll fit right into the current meta of tanky, late-game comps where Vayne reigns supreme, and he’ll undoubtedly become a much more popular pick in Patch 8.1.